Fifteen years after a massive stroke left her with severe aphasia, Jo Free, at 82, found "freedom" with a device from Lingraphica. Here is her remarkable story of determination and discipline. Ruby “Jo” Free was born in Lorena, TX in 1935. She grew up in Fayetteville and has lived in New Braunfels for the last 56 years—a lifelong Lone Star state resident. Jo met her husband Richard, who passed away eight years ago to cancer, when they attended the University of Corpus Christi (now part of Texas A&M). Together, they were a fitness force to be reckoned with: Jo ran and cycled; Richard played football, basketball, and volleyball for the U.S. Army, and had a stint in minor league baseball. They were married, had three children (Richard, John, and Nancy), have nine grandchildren, and the first great-grandchild will arrive in November. and independent woman who lived life on her terms--had a massive stroke. 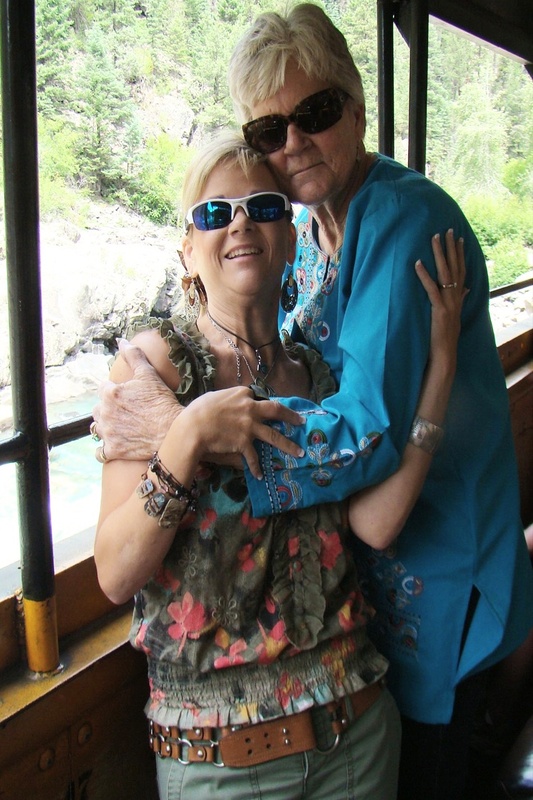 “The doctors told us that if she had not been in such excellent health, she would not have survived,” said Nancy, Jo’s daughter and full-time caregiver (pictured to the right with Jo). After her stroke, Jo went through a period of therapy and rehabilitation for two years, but her progress stagnated, and the therapy stopped as Jo and her family were told “there wasn’t much else that could be done” to help her speech. 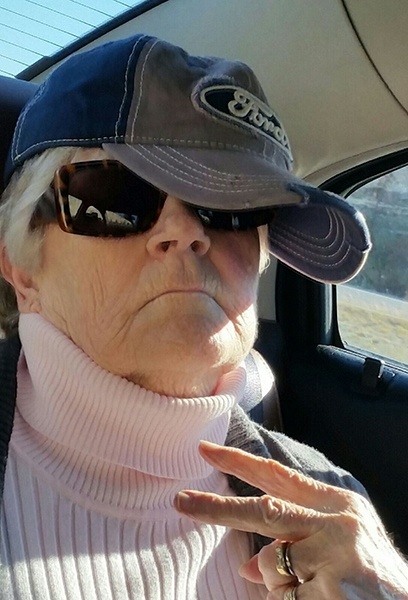 For 15 years, Jo had about 15 words in her vocabulary, including her favorite phrase, “Golly today!,” which she used all the time, for no apparent reason. In April 2016, she became ill with the flu and required hospitalization. 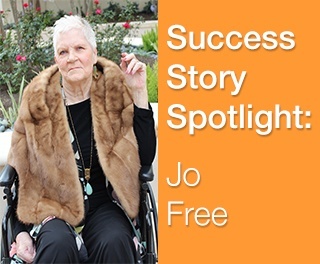 At that time, Jo was placed in a rehabilitation hospital where she received therapy services for two weeks. Upon discharge, Jo was referred to speech-language pathologist (SLP) Julie Lindenau from Advanced Home Health. With 25 years of experience as an SLP, Julie began working with Jo in June 2016. After almost six months of therapy and practice, Jo increased her vocabulary to about 30 spontaneous words, but Julie knew that there was more Jo wanted to say. So Julie and Jo began a trial period with a Lingraphica AllTalk, and by December 2016, Jo had her very own device. Jo’s daughter had some initial concerns about Jo’s ability to navigate through the device, but those quickly faded as she saw the progress her mother made. In six month’s time, the woman who had been speaking 15 words for 15 years after her stroke now speaks in full sentences with the help of her AllTalk and prompting through visual mouthing cues. She now has several personalized pages on her AllTalk, including a page called “All About Jo,” which features her sons, daughter, friends, hobbies, health, and food. Jo practices with her AllTalk every day, pressing an icon over and over again to hear it speak a word to her until she can say it herself. Nancy is a strong advocate for Jo using her device to communicate. When Jo cannot recall or say a word on her own, Nancy encourages her to get out her AllTalk to find the word. As Julie and Jo’s therapy sessions draw to a close this summer, everyone believes that Jo will continue to thrive in her communication with her AllTalk. If you or someone you know has a medical need for a communication device like Jo, Lingraphica offers a free device trial to ensure a good fit! Click below to try a device!